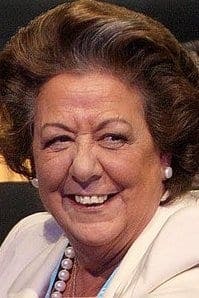 A CONTROVERSIAL ex-mayor of Valencia has died of a heart attack in a Madrid hotel. 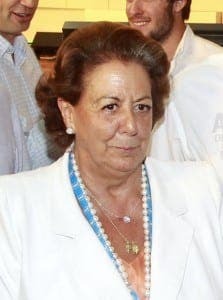 Rita Barberá, also a senator, has passed away aged 68, two days after giving evidence before the Supreme Court over alleged money laundering during her 24 year reign as mayor. Medics said they tried to resuscitate her for 30 minutes after getting a call at 7am on Wednesday morning. The Supreme Court began investigating Barbera in September over her role in an alleged financing network. but continued to hold her post as an independent. Most of her team have also been accused of corruption as part of Operation Taula, in which 24 people were arrested in January. Reactions to her death have been mixed in political circles. On social media, PP leader Mariano Rajoy lamented her passing. But Pablo Iglesias, Podemos leader, refused to participate in a one minute’s silence held in Madrid’s Pleno del Congreso de los Diputados. “We lament the death of Barbera but we cannot participate in a political tribute to someone whose trajectory is marked by corruption”, he said in a tweet. Susana Diaz, president of the Junta de Andalucia and PSOE leader hopeful , was also guarded in her comments.